The purpose of this post is to explain the Benefits of Poppy Seed Tea. Poppy Seed Tea is a form of herbal tea that has been around for thousands of years. This tea has been historically made using the seeds from several poppy plants. The most common is the specific poppy plant Papaver somniferum. This poppy plant is also known as the opium poppy plant. This is due to the opiate alkaloids that the plant naturally produces as a defense mechanism. Although a majority of these alkaloids are found in the pod walls, the seeds also contain the same compounds in lower amounts. Poppy seed tea has recently increased in popularity, and many people rely on the natural opiates for pain reduction. Poppy seed tea has several positive effects if used properly. Just like any other opiate, is extremely important to be cautious when consuming poppy seed tea. The opiate content can vary widely between products and packages. For people that are trying to make poppy seed tea, it is very important to choose high quality unwashed poppy seeds. I have created an updated list of the Best Poppy Seeds for Tea. Now that we have all of that out of the way, let’s begin looking at some of the benefits of poppy seed tea. As stated above, it is very important to choose delicious and high quality seeds to ensure you have the best chance of obtaining the benefits mentioned in this post. Many community members have struggled searching for yummy unwashed poppy seeds. 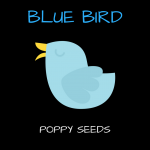 Some of the best unwashed poppy seeds are currently Blue Bird Poppy Seeds. I have included an Amazon link to their 1 pound bag below. The active compounds present in each batch of poppy seed tea can vary widely, depending on several factors including the species, freshness, and growing condition. Every person is unique and they experience the effects in different ways. This is a general summary of some of the positive effects that many people have reported experiencing. The active alkaloids in the poppy seeds can be used to reduce pain. The primary opiate compounds found in the Papaver somniferum seeds include morphine, codeine, and thebaine. Morphine and codeine have been used for thousands of years for pain reduction. These alkaloids impact the central nervous system (CNS) directly. which results in a decrease in the feeling of pain. Poppy seed tea can be consumed for both acute pain and chronic pain. Studies show that high levels of stress hormones in the body can be detrimental to long-term health. The primary stress hormones found in humans is cortisol. The analgesic and sedative effects of poppy seed tea can help ease tension in the mind and decrease the levels of chronic stress hormone concentrations found in the blood. The alkaloids found in poppy seed tea can elevate your mood by relaxing your muscles and mind. As with many powerful painkillers, it can provide a sense of euphoria or pleasure, which can eliminate depressive episodes and provide a burst of positivity. This is also why opiates such as poppy seed tea can be addictive. Long term consumption of any opiate can lead to addiction, and withdrawal symptoms can be experienced if the individual suddenly stops. The chemical compounds found in poppy seed tea can regulate your bowel movements if you are struggling with diarrhea. In those with normal bowel movements, this tea can occasionally cause constipation, which is yet another reason why this tea should be consumed in careful moderation. For individuals that do not have diarrhea, the tea can lead to severe constipation. There are ways to combat the constipation caused by consuming opiates, including drinking large amounts of water or consuming OTC laxatives such as MiraLax (Polyethylene Glycol). Poppy seed tea is a powerful sedative, so if you are suffering from insomnia or other sleep disorders, this tea can be an occasional at-home remedy that delivers an undisturbed night of sleep. This is one of the reasons consuming large amounts of poppy seed tea (or any opiate) can be extremely dangerous. If poppy seed tea is consumed in large amounts or mixed with other sedative medications, it can lead to severe respiratory depression or possibly death. There are also several beneficial vitamins and minerals found in poppy seeds. 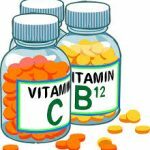 I have included a list of these vitamins and minerals below. Similar to the physical and psychological effects listed above, the levels of vitamins and minerals found in the poppy seeds can vary widely. Also, these vitamins and minerals can affect people differently; everyone is unique. Make sure to consider this fact when consuming poppy seed tea. These vitamins and minerals do provide some level of benefit to almost everyone. Most poppy seeds contain some amount of the following vitamins and minerals. Poppy seeds contain very high amounts of oleic & linoleic acids. Oleic acid is a mono-unsaturated fatty acid that aids in decreasing bad cholesterol (LDL)and increasing good cholesterol (HDL). This positive change can be seen in blood level tests. Extensive research suggests that individuals that consume food rich in oleic acid have a much lower chance of developing coronary artery disease and strokes. Poppy seeds help provide healthy blood lipid levels. Poppy seeds contain a large amount of fiber. A small amount (100 grams) of raw seeds provides 51% of the recommended daily levels of fiber. A majority of the fiber is metabolically inert which assists in easing constipation. This can help offset the constipation attributed to the opiate content of the seeds. Calcium makes bones & teeth strong. It also helps muscles and blood vessels contract & expand, secrete hormones & enzymes, and to send messages through the nervous system. Copper is the 3rd most abundant trace mineral in the body. It is abundant because it is necessary for many major functions within the human body. It helps with the metabolic process for amino acids and vitamins. As a result, it helps improve overall health. It also helps protect major systems within our body. It protects the cardiovascular (heart), skeletal (bones), and nervous system. On a more micro level, Copper assists in the development of red blood cells. Red blood cells help deliver oxygen to all parts of your body. Copper has also been shown to help reduce symptoms of arthritis and reduce cholesterol. Iron helps metabolize proteins and assists in the creation of hemoglobin & red blood cells. Low iron counts can result in people tiring easily, and increasing iron intake can help boost energy levels. Magnesium metabolizes food and synthesize fatty acids. Manganese helps produce antioxidant enzymes. Potassium provides control of heart rate & blood pressure. Zinc helps regulate growth & development, sperm generation, and digestion. After reading all of the Poppy Seed Tea Benefits listed above, you need to remember that there are several possible negative effects as well. I have already referenced some in the post above. I decided to provide a concise list some of these negatives, and you can read more details on my Negative Effects of Poppy Seed Tea post. 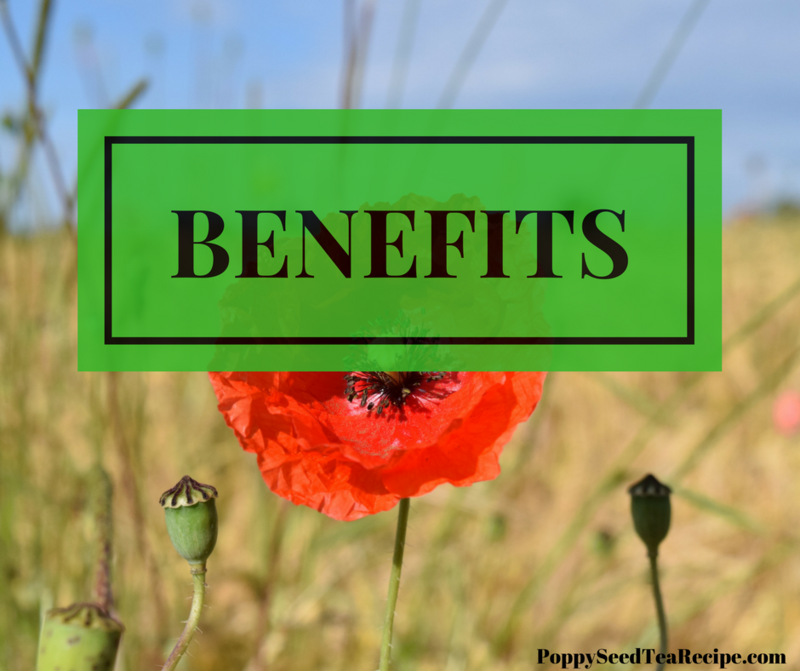 I hope that this post has helped you learn more about the benefits of poppy seed tea. Poppy seed tea has significant positive impacts similar to the benefits of all herbal teas. It is important to study herbal tea in detail before you consume it, and you should look at all of the effects of the particular seeds you are using. You can help support this community without spending an extra penny. If you are planning on buying something (literally anything) on Amazon, click one of the Amazon links above or on the side of this page before making your purchase. This website will make a small percentage of your total purchase price for any items purchased within 24 hours of clicking the link. You can purchase anything on Amazon, it doesn’t have to be something advertised on this website. I sincerely appreciate your support, it helps me dedicate a sufficient amount of my time to enhance this free resource! Do you agree with this list of the benefits of poppy seed tea? Are there other effects that you have experienced? Please write your comments below to share your unique perspective. I read EVERY comment and sincerely appreciate it! Hi there! 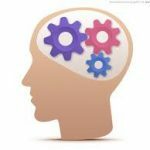 I simply want to give you a huge thumbs up for the excellent info you have here on this post. Great, I’m glad you liked it. Let me know if you ever have any questions! Hey! I am really happy to have found your site. I have been a PST fan for a couple of decades, and the last time I searched it on the web about four years ago there was next to no info, now when I search there are a lot of new things published in the last year or two…it must be becoming more popular or more recognised. It has also doubled in price here in New Zealand 🙁 I used to pay $50NZD for a 15kg sack, that same sack is now $120! Tasmanian blue. This is at a wholesaler. Although that still works out way cheaper than the links to Amazon etc. A thing to note is that a lot of places sell poppy seed that has already been washed, you can tell because the tea looks all curdled and disgusting. It can also curdle when you leave the water on for too long. This stuff is just amazing for anxiety and all the other things you have mentioned, so good that it’s hard not to get a habit on it..don’t do it every day!